It’s time again for another HoloNet Links. We have a release date!! 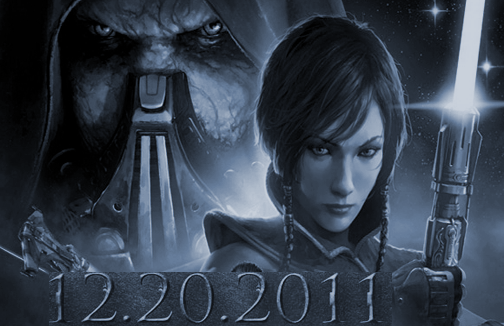 Dec. 20, 2011 will be the day, in North America and Dec. 22, 2011 for Europe, when Star Wars: The Old Republic will officially start. Last Saturday, while I was fast asleep, at Eurogamer they let the world finally know the release date. I think many were surprised, but all in all happy to know that we finally have a date! There has also been plenty of other news and information regarding the game and the community, so let’s get into it! -Each class will have their own flashpoints which other classes can assist in. This is not true, sorry. Not sure where that might have come from. Each faction has faction specific Flashpoints, but there are no class-specific Flashpoints. The closest would be class story instances, but they are much smaller than Flashpoints. While we haven’t revealed the final number of Flashpoints in the game at launch, it’s not 50, that much I’ll say. It’s in double figures though. This just in…there will be double digit number of Flashpoints! That is great to hear. That means with the hard setting for Flashpoints, for level 50, this gives more content to help with light and dark side points, as well as more content at endgame level to complete. There are a number of unannounced handsome leading men as companions in the game and with the newly announced ability to change their looks, anyone should be able to find something to their specific taste. Well, I’m sure there are some people that are excited to hear this. Personally, I am more interested if they can shoot or heal, but that is just me lol. That said the more creative characters in the game the better! GeorgZoeller General Discussion -> Force Pushing players off cliffs? Why does this make me think Zoeller just waits for the opportunity to get an opponent near a cliff, Force Push them and then watch them plummet to their doom? GeorgZoeller General Discussion -> Wait… DOT -ticks- interupt capturing objectives in PvP? Except that there are no ‘objectives you interact with’ in Huttball. The ball is only dropped from your cold, dead hands or when you throw it. This again serves as a helpful reminder of why getting upset about a game mechanic for a game you haven’t played yet is sometimes a waste of time. Like or dislike the idea of a game mechanic, I think you should play the game first. That is what Georg Zoeller has stated several times. StephenReid General Discussion -> An unusual ammount of phishing emails. Hey all. First of all we take phishing attempts very seriously, and I’d appreciate it if you would (carefully, stripping out EXEs if they’re included) forward any such emails to support@swtor.com with ‘Phishing attempt’ called out in the subject line. Obviously, the security of your PC is the most important thing, so don’t take any ‘unneccessary risks’ to get us this information. Always, always check the email header and the hyperlink before you click anything, and if you’re ever unsure, don’t click anything! Instead, go to www.swtor.com/tester, login and if you’re able to get into testing, the client download link will be there. Finally don’t forget – we’ll never ask for your username, email or password in an email. Don’t let these phishers get your info! Just a bit of warning from Stephen Reid about people trying to send malicious programs under the disguise of a testing invite. The numbers of these attempts will most likely increase as we near release. Please be careful and take the proper precautions when accepting suspicious emails. 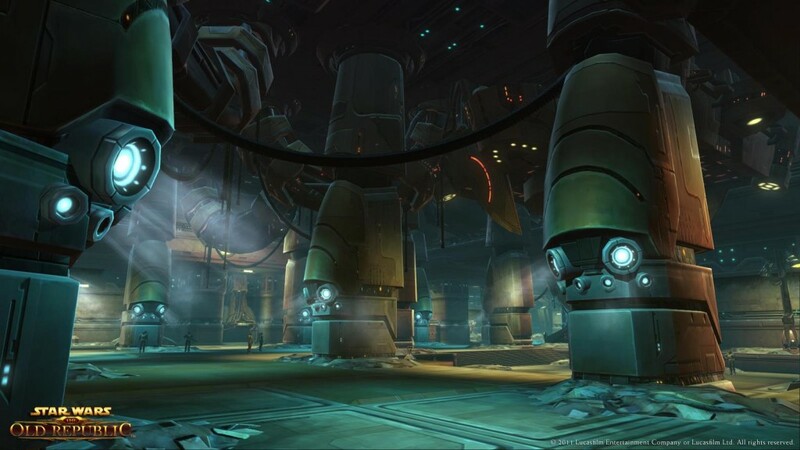 This week’s fan fiction spot is to announce another fan fiction contest on the SWTOR forums. The contest is again being promoted by Kellmorn. This contest will be again for all eight classes with the word limit 3,500-10,000 words. This is more than a short story, but that is not all. There is another contest going on also, a planetary description contest, with a word limit of 250-750. Below is a link for the contest rules and more details, along with deadlines. This week’s image comes from the planet Voss. It is of underground structures built by the Gormacks. What goes on under the surface of the planet in these structures and why are they underground? It looks like there might be a few surprises for players to figure out about the planet Voss and its inhabitants. This week’s video is a fan’s take on a launch video. Over the course of doing this article and following this game, I have seen many edited music videos, recruitment videos, but this has to be one of the best so far. Thanks to Paul Wisniewski for posting this in the CRR Facebook group. I would love to hear your comments or if you think there is another video out there as good or better. That’s all for this week’s HoloNet Links. We would love to hear from you all. Please let us know your thoughts or ideas for next week’s article in the comments below or in the CRR forums, or in the Facebook group, or email them directly to me at, jason@corellianrun.com. Thanks again and see you next time! Really enjoyed Paul’s fan trailer. Even though it was previously-seen video, the reboot got me all excited again.